Another year has quickly come to an end, but before 2016 slips away for good, we've got one more thing to do! 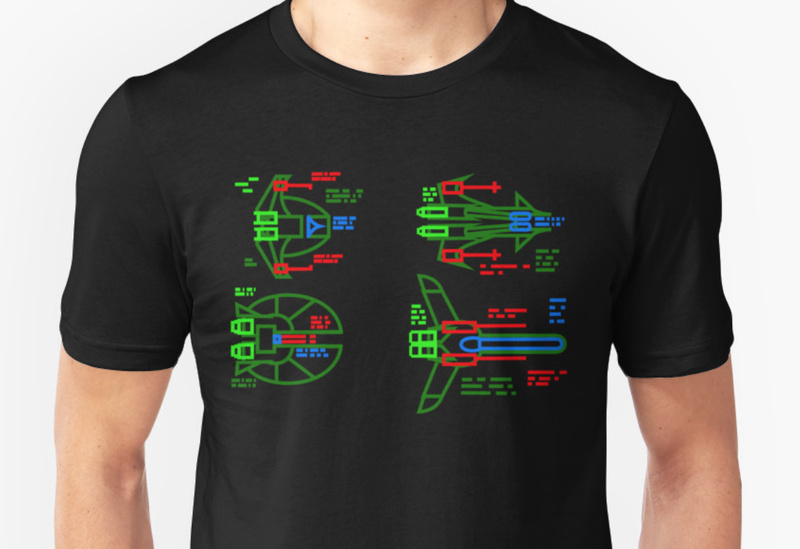 As we all get bogged down in the day to day grind, it's sometimes hard to visualize all the tremendous things that Wing Commander fans do all year round. This is our chance to recap some of the projects that had the biggest impact over the past twelve months and help confer some much deserved recognition on the fans that work hard to keep the community engaged. It's not a complete list of everything that you all do, but based on your nominations and a couple of our own, here are the nominees for Fan Project of the Year for 2016! Defiance's Eye Candy - Compared to some of the projects on this list, DefianceIndustries is a relative newcomer, but his models are absolutely superb. He's incorporating them into his own WC mod, but the ships also make their way into gorgeous wallpapers and other Wingnut's projects as well. Enhanced Soundtracks (WC2 / Privateer) - Jason Walton's remakes of the classic era's music really struck a chord with fans this year. They're a great blend of embellished notes that sound fantastic without straying too far from what made the originals great. His WC2 effort was just in time for its 25th anniversary and helped everyone ride quite a nostalgia wave for the game. Flat Universe - This top down fan game continued to impress players with new visuals, modes and more unveiled throughout the year. 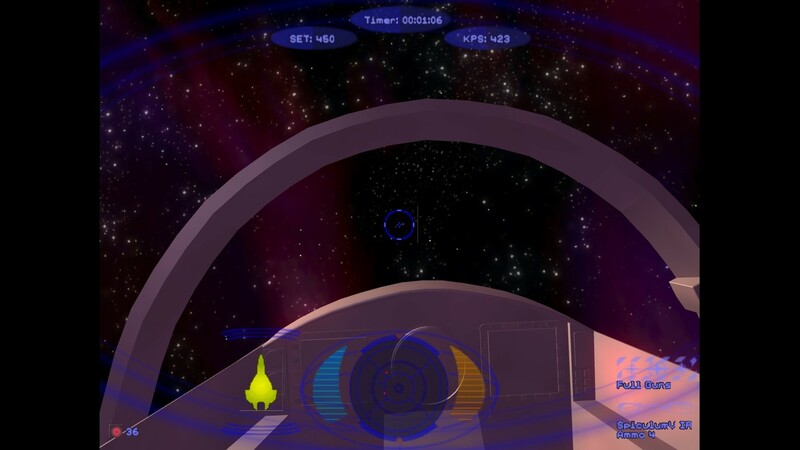 Multiple playable iterations have been available for some time, but Wingnuts eagerly await further upgrades in the future. 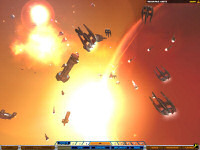 Homeworld Remastered Mod - Flag Commander, the Homeworld mod, saw numerous substantial coding improvements over the past year. 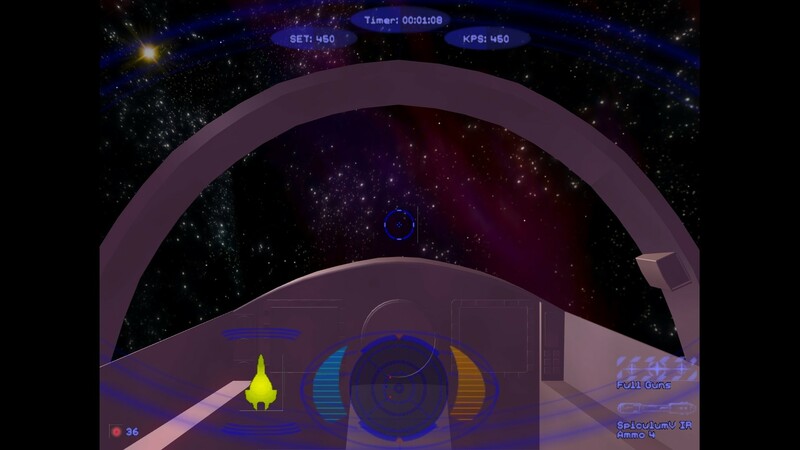 The project has significantly bounced back from structural changes to the core game and is taking advantage of engine enhancements to make the experience even better. Klavs' Fleet of Ships - The trove of models that Klavs released nearly two years ago continues to see wide usage across multiple fan projects. 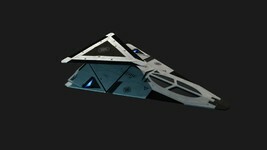 When time allows, Klavs himself still makes time to build a new ship or even create a fabulous wallpaper now and then! 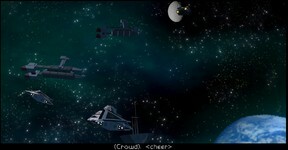 Ninja's Sketches - Ninja's epic drawings of Wing Commander scenes continue to be a fan favorite. 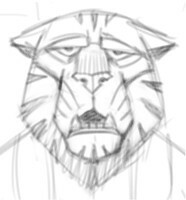 He's known for cultivating a certain style in both his ships and Kilrathi warriors alike but still manages to find new ideas to inspire even more sketches. Prophecy Unlimited - gr1mre4per's exploits are a huge gift to fellow modders. If there's a limitation in the original Vision Engine, he's up to pushing it beyond what anyone at Origin even thought possible. The foundational research he does helps makes multiple other projects on this list possible! Secret Ops Model Upgrade Pack - Most of the visual assets fell into place in 2016, so we have a pretty good idea of how awesome the upgrade will look. Now we're ready to play the game in all its graphical glory! Sins of a Solar Empire: Alliance - The Solar Empire mod is another project that's been in work for some time, but Nomada_Firefox chose 2016 to reveal it to the community. 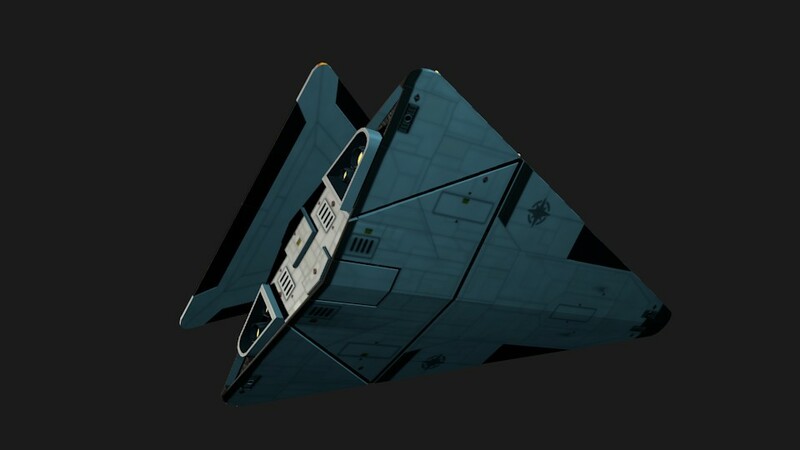 He's assembled quite a few different elements from the Confed, Kilrathi and Nephilim fleets that come together in an impressive fleet warfare package. WC Saga Deutsch Mod / Saga Plus Pack - The German version of WC Saga has continued to see a steady flow of updates to improve and enhance the core game. It was also recently revealed that English speakers will get to enjoy the same treatment when these enhancements are packaged up for the original release. WC Toolbox - We're still waiting for the next great WC1 mod to be made, and when it is, it'll probably have UnnamedCharacter's suite of tools to thank. 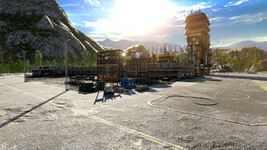 He further improved fans' ability to manipulate data in the first WC game as well as improved potential modders' ability to visualize how the engine is handling everything in flight. 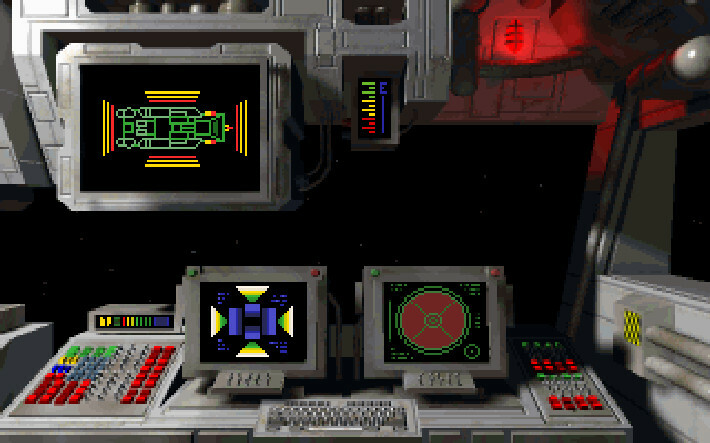 WCDX for Kilrathi Saga - Most people play the original WC games via DOSBox or GOG these days, but there was a time when Kilrathi Saga was the much sought after option. 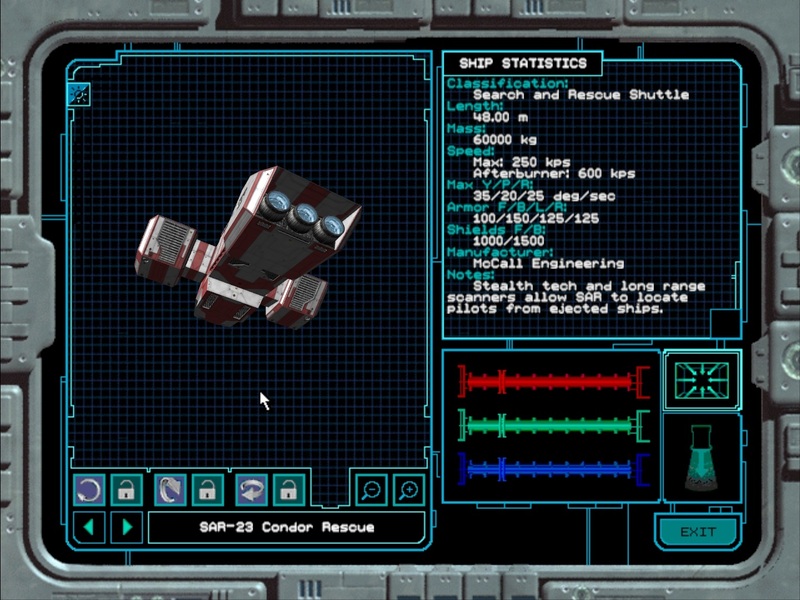 It wasn't a perfect solution though, but Stinger has helped make it nearly so by fixing a number of bugs and hiccups that the conversion to Windows introduced. WC2 is a much tougher animal to tackle, but he started investigating how to go about fixing elements of the second WC game in 2016. 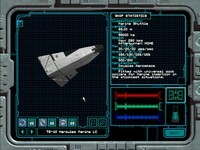 Wing Blender - This is another program that's helping modders be more productive out there. It reached full version 2.0 release and helps fellow fans import and export Vision Engine files so that they can be more easily manipulated. In addition to helping with mod creation, it's also helped extract some neat things from the art assets included with Prophecy. Daedalus Station - This is the flashy home of the Flat Universe mod. In addition to hosting downloads and media related to the game, it's the place to get the in-universe magazine Destiny's Way, which is a pretty darn cool project in its own right. 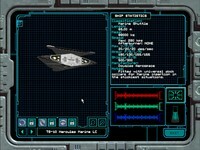 Pix's Origin Adventures - Pix is dedicated to all things Origin, and that includes making time to explore the Wing Commander series in unique and exotic ways. 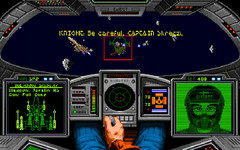 One of his specialties is recreating authentic Wing Commander experiences on less popular platforms to appreciate the differences that these bring. Spaceships Universe - This is the home of Arraen's WC strategy game. 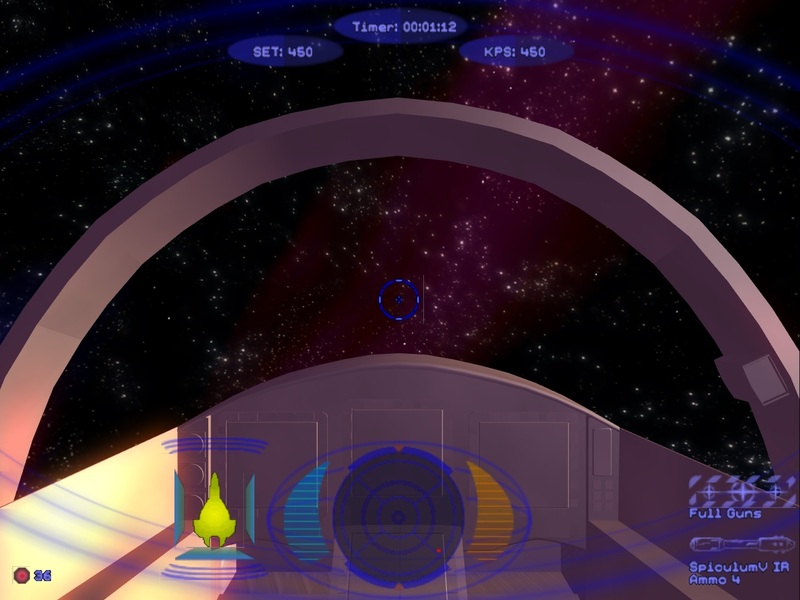 It provides easy, concise and accessible information for what his fan game is about, and then leads the viewer to some really nice screenshots and videos. There are even three language options! WCSaga.org - In addition to being the home of WC Saga/Deutsch/Plus, this site brings two major things to the table. It serves as a vibrant German language hub to provide a place for a large population of European WC fans to congregate. There are also a set of message board forums maintained, which is no small feat in 2016. Between managing different personalities and keeping up with security threats, most people leave this level of interaction to social media these days, but not WCSaga.org! 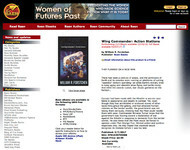 Wing Commander RPG Wiki - The home of capi's various role playing games gets a steady stream of updates - especially compared to the CIC's own Wiki! 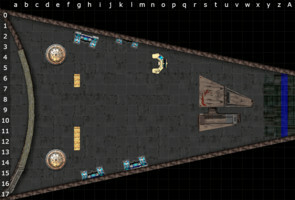 In addition to downloads of the existing modules, there are a couple hundred growing ever-pages of detailed material that's being developed for the Kilrathi Elegy of Sivar expansion. monkier has come up with one of the neatest unofficial t-shirt designs we've ever seen. 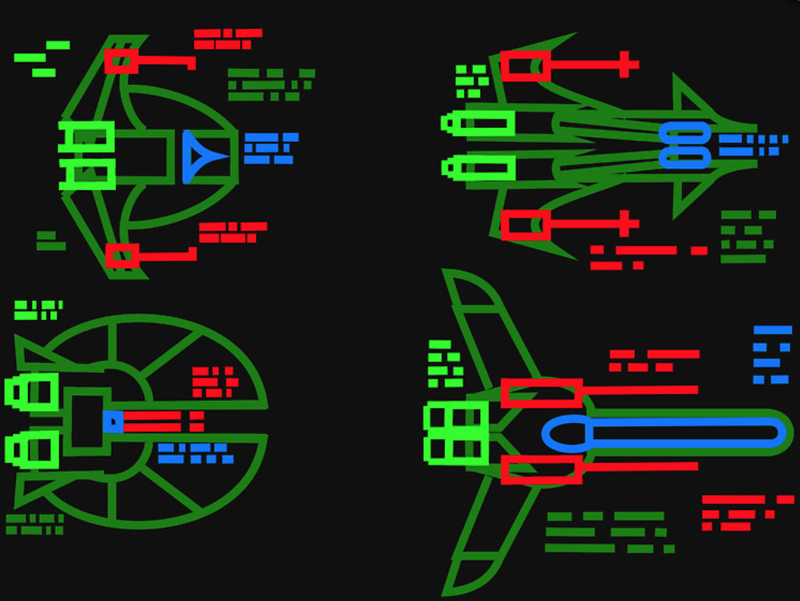 It's simple - just four of the targeting VDU layouts on a black tee, but the low res readouts and green line art pack in loads of charm. If you ever ran across someone wearing this in public, you'd have to stop them and say hello from a fellow fan! 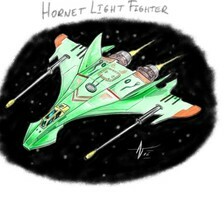 NinjaLA's back with one of his specialties, the trusty green Hornet. This one's slightly less abstract than some of his prior sketches, and instead he's focused on detailing it more than usual. The result is a nice tight drawing to appreciate during these weird days between Christmas and New Year's! 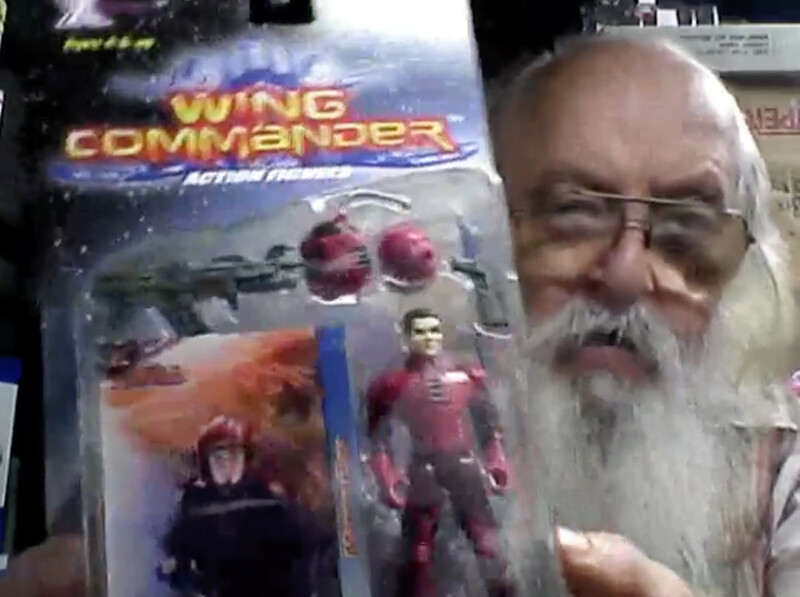 A collector named Jerry has kicked off a new YouTube series about his discovery of the Wing Commander Movie's action figures. 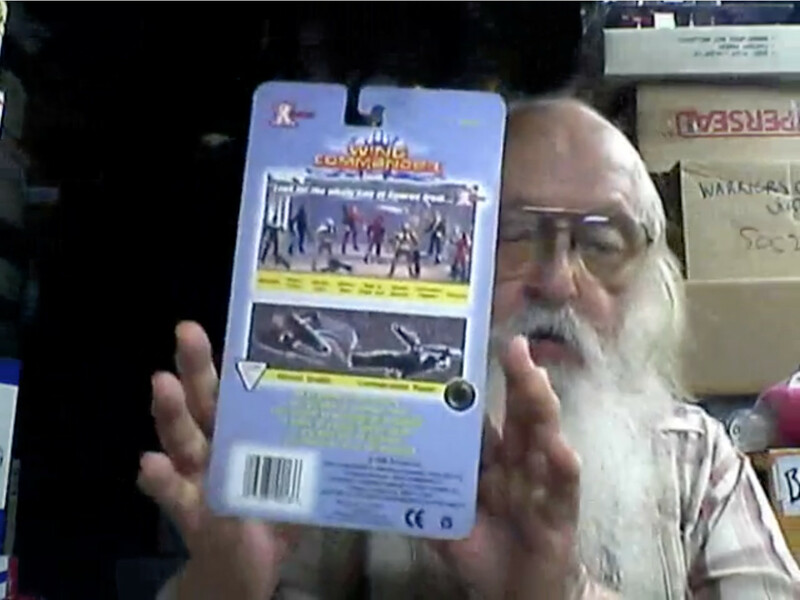 He's not at all familiar with the source material, but his channel covers the various finds he discovers at places like comic and toy shops. 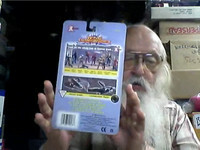 Episode 1 covers what little he's learned about the franchise so far and then shows off the Maniac figure. Additional episodes about Marine Blair and Deveraux have also been made. Along the way, commenters have helped explain the difference between the movie and TV show as well as the series' video game origins. And despite the lack of background knowledge included here, Jerry's probably spent more time profiling these three figures than almost any Wingnut! He's disabled embedding, so click the hyperlinks in this update to watch the clips. Like many of you, we at the CIC were saddened to hear of Carrie Fisher's passing this morning. 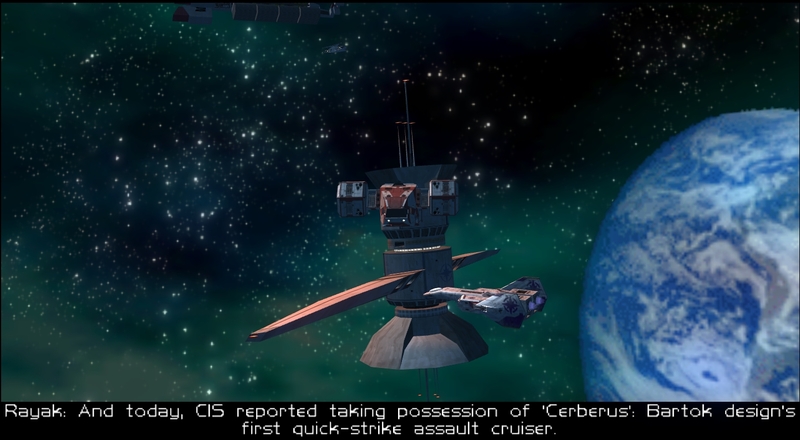 It'd be hard to be a fan of Wing Commander and not share a great appreciation for the the sci-fi saga that had the greatest influence on its creation. Princess Leia inspired a generation of Jeannette Devereauxes and similarly strong characters in both sci-fi and the real world. 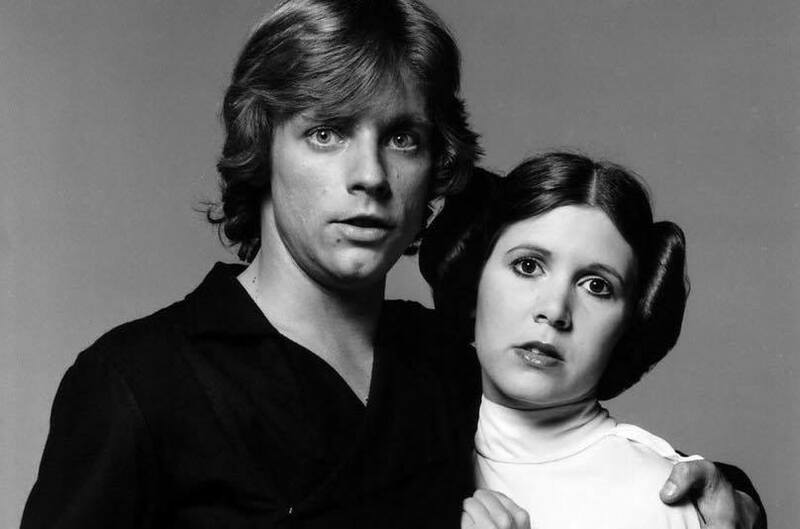 There are many proper eulogies that give her due credit for all of her work off the screen as well, but for now we'll leave you with this endearing statement from Mark Hamill. May she rest in peace. Kilrathi starbases in the Wing Commander mod for Sins of a Solar Empire now have some defensive upgrades in the form of an autonomous weapon turret. 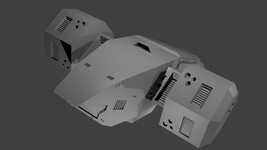 The new addition carries a number of twin laser mounts but can also be supplemented with missiles. 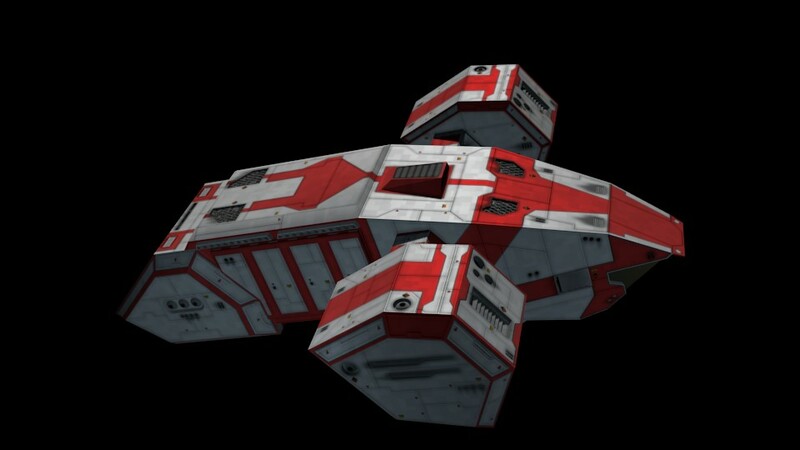 This is a pretty decent punch for its small size - comparison photos to a Vaktoth and Kamrani corvette give a sense of scale. 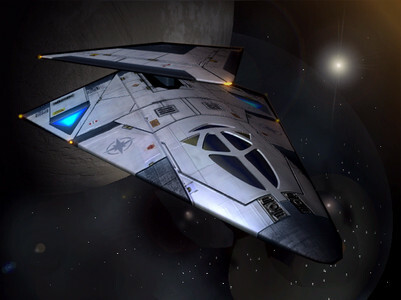 Because they come up fairly rarely, some people forget that such devices appear throughout the series from WC4 to the Academy television show. It seems like a swarm of these could prevent a real problem for a strike force trying to breach the perimeter, but it remains to be seen whether they'd be more like sitting ducks in small numbers. Nomada_Firefox is working on striking the correct balance now! 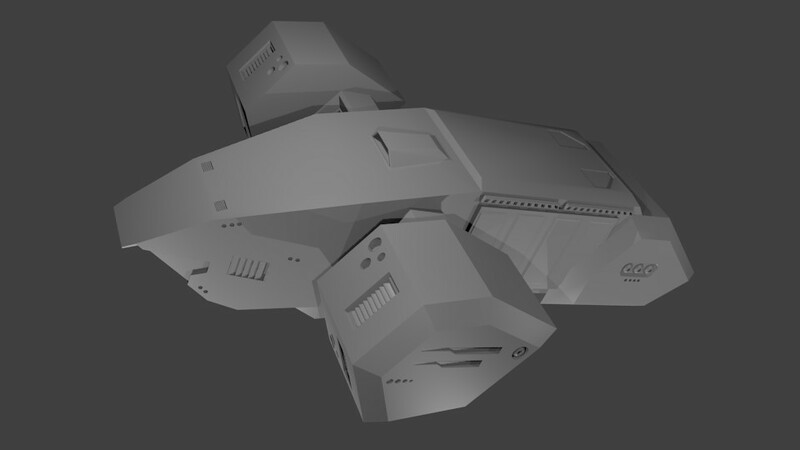 Today I have made the Kilrathi defense turret, it will be the small defense station with two versions, one with only lasers and one with the missiles addition. 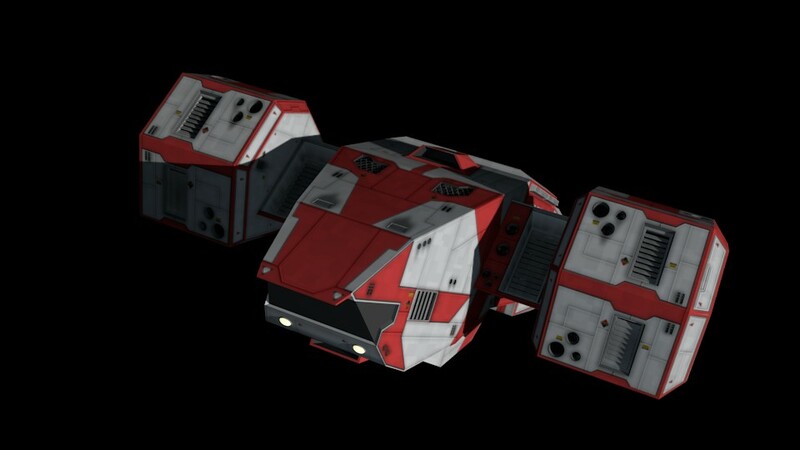 This small stations will be used with other structures as I have made with the Confederation because some others have weapon upgrades and these upgrades can be the addition from this space turrets. Merry Christmas and happy holidays to all of you! The CIC Staff is warmly huddled around Marc's clever Hellcat Christmas Tree hoping that Wingnuts everywhere are having a safe and happy day. Thank you for taking a moment to join us! 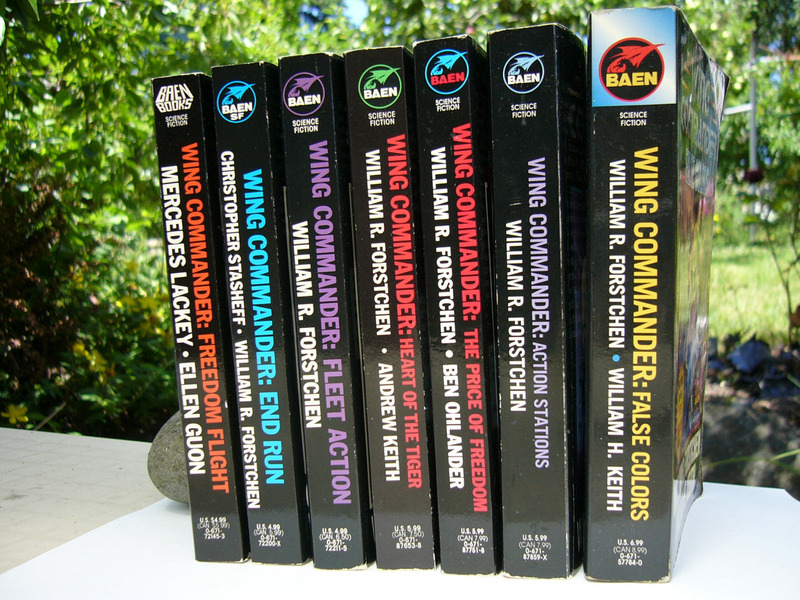 If you were lucky enough to get any new Wing Commander items for Christmas this year, let us know! Several slick coding updates have been made to the Homeworld Remastered Mod that both fix bugs and enable some cool features. To start with, the Confederation fleet AI has been reenabled and should allow for competitive games against the computer now. 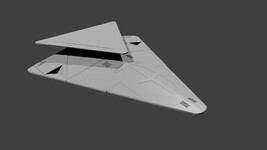 Significant tweaks were made to fighter behavior so that their shot placement is improved and landing pattern behavior now occurs as expected. 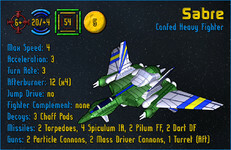 The Border Worlds' long range anti ship missile has also been modified into a nifty two-stage variant that effectively drops a fast torpedo as the main assembly reaches its target. And L.I.F. even gave the Stormfire gun a better sound effect! 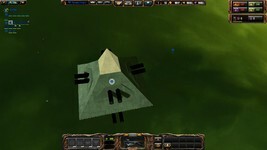 Players can grab the latest version of the mod at the Steam Workshop. The easiest way to get Wing Commander 1-3 going on a modern system nowadays, is to buy the original DOS versions off GOG. 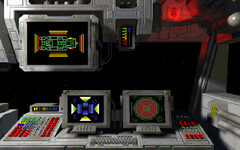 Before the days of DOS emulation, players looked to Kilrathi Saga with its Windows '95 ports of the classic trilogy for their Windows 95/98/XP computers. The bundle was met with mixed reception; there were several small enhancements, but also a few changes and minor glitches. 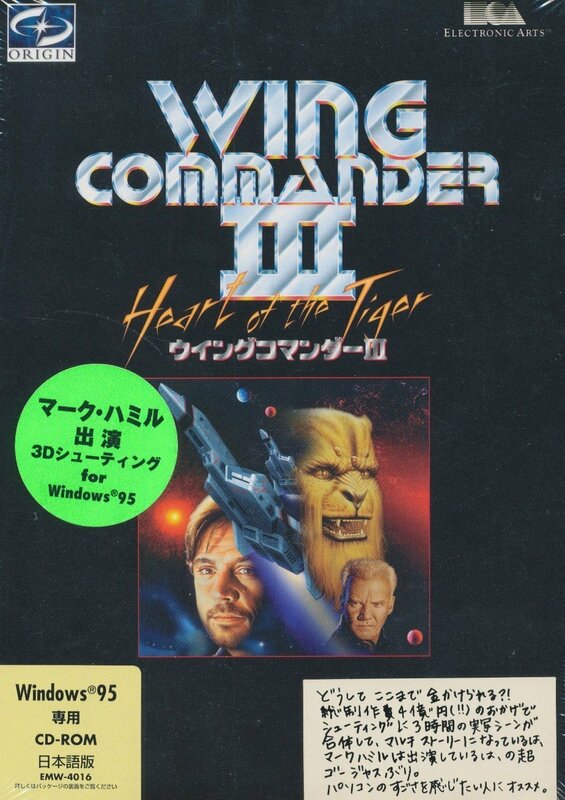 Those Windows ports were never released individually or in any other shape or fashion, apart from... Wing Commander 3 in Japan! While the Japanese edition of the DOS original had an identical box to the Western release, Japanese WC3 '95 received some unique artwork. Despite a very expensive localization effort (check out the dubbed intro) for the Japanese market, the game (and franchise) was never hugely popular over there, and no such effort was put into the later games. As an aside, if you paid $300 or more for your very own copy of the Kilrathi Saga, you may want to check out the WCDX Kilrathi Saga patch. It fixes numerous bugs and glitches in WC1 and WC2, and it improves compatibility with current versions of Windows. Kilrathi Saga is still a nice collectible item, and prices have dropped considerably. The year is quickly winding down, but DefianceIndustries is still pushing hard on new models for the Secret Ops model upgrade pack. 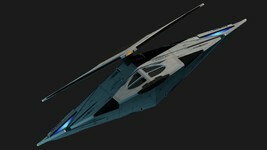 His Condor SAR is now ready for action. 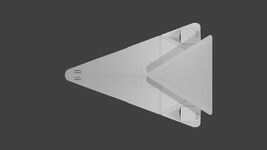 This nearly completes out the fleet of utility craft that the mod will need. Just the refuel shuttle and marine landing craft remain. 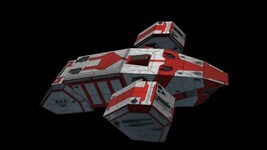 Defiance has put together some fiction on what it might be like to fly one of these dedicated shuttles. It makes sense to have a small vessel just for this type of activity, but there must be some harrowing rescue missions compared to how a Broadsword might handle things! "I remember, right before Port Broughton went down at Firekka, we were busy beavers. I mean we were lucky to get an hour of shut-eye before the CAG would send us off to pick up the pilots who had to bail. At first we would crack a joke or two on pick-ups; but as the fight wore on we...Slipshod, err, Lt. LaRoy that is, found less and less to laugh at. When a bug torpedo took out the Broughton's jump drive, the fight turned into what the brass call 'a delaying action', that's flag-speak for a f*** meat grinder. The ramp rats worked miracles keeping our bus flying though, so we kept going out, with less and less success. 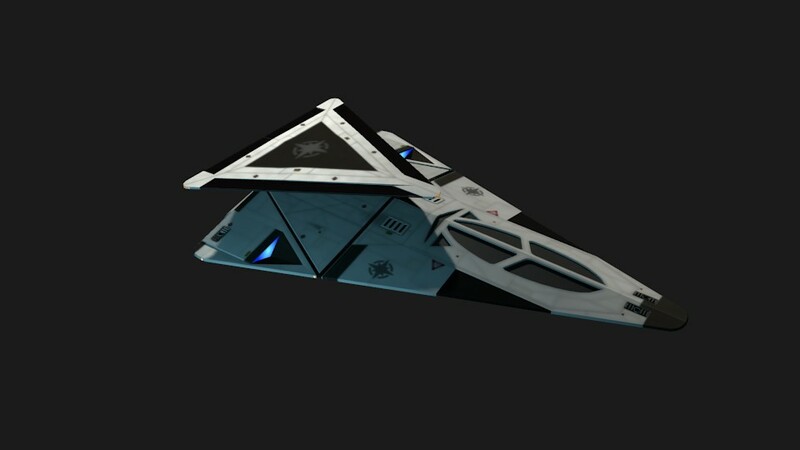 One of the last missions we flew before the Captain gave the order to scuttle the ship, a strike on a bug cruiser went sour and the CAG sent us out to get the ejectees. Each time we'd get off the deck, flight ops would rush us back because the bugs had another wave coming in and all available pilots were being sent out on CAP. This went on for three aborted attempts; finally Slipshod and I just went alone. CAG wasn't happy about it but he knew just as we did that those pilots were running out of air. It got pretty dicey for a while but once we got past the immediate fighting we had clear sailing to the pick-up. When we got there though we found that the bugs had come through, and we knew what they did to POWs. Most of those poor suckers spaced themselves rather than end up vivisected or on some bug's dinner plate. Slipshod was never the same after that, he just...I dunno, stopped I guess. Hope the psychs got him right..."
-Cpt. 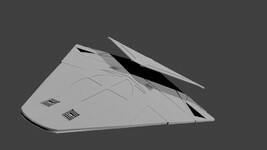 Bradford Mgana, 17 SAR sqn. It's the shortest day of the year, so that means it's time for our shortest update of the year! "What? That's not a thing!" you say? "What about the southern hemisphere?" Welp, we can't debate that here, or else it would make the post too long! So enjoy this. 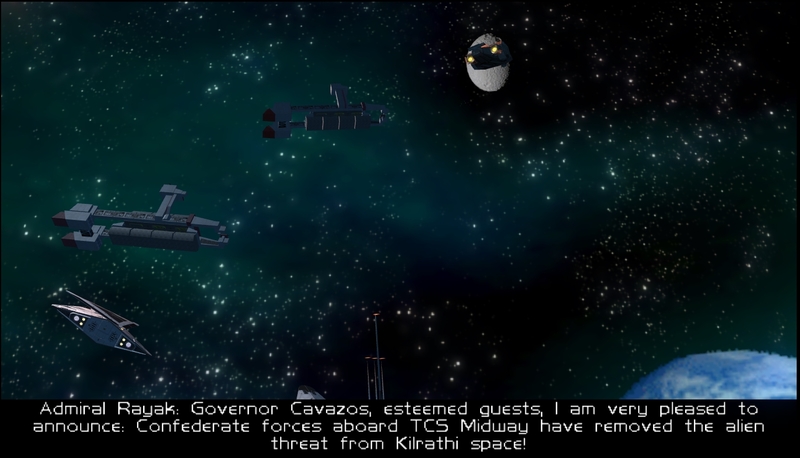 capi has made some interesting progress on Chapter 2.3 of his WC RPG's Kilrathi expansion, Elegy of Sivar. He's done some measurements recently to figure out what a good base size would be so that he can sketch out fifteen internal areas for the play space. There's also been progress on dialogue of the characters. 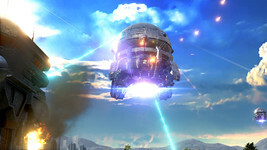 With a lot of the foundation in place, future work will transition more into the mechanics of the actual mission associated with this segment of the game. 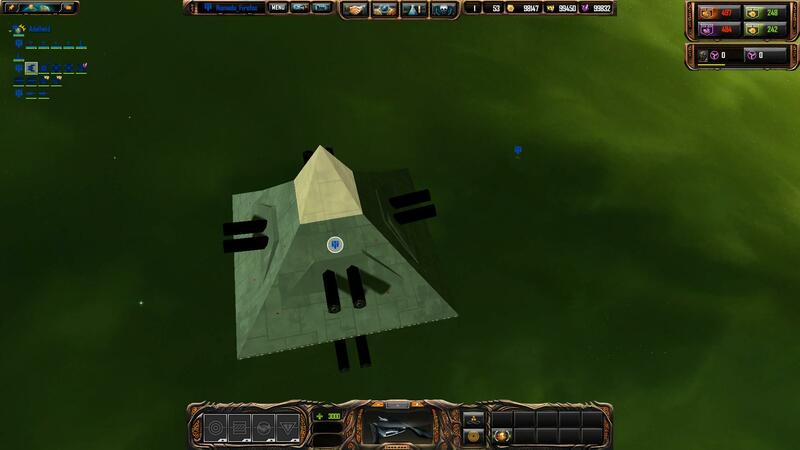 capi has also revealed that he's exploring the idea of a physical board game version of the WC TacOps strategy sim, which would be super neat! 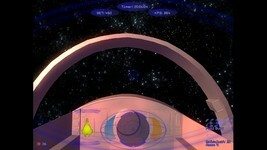 My focus was still largely on completing the dialogue of the four scenes in the prologue of Chapter 2.3. I anticipate having some fun with Bloodeye's inner monologue when it comes time to work on the narrative of that scene, given that I wrote the Terran pirate with whom he has a conversation as a pretty reprehensible person. My Plan for the coming weeks is to continue work on the narrative in Chapter 2.3. I do need to get started in earnest on the actual mission itself - I have my idea for what I want to do, but as yet I don't have a clear idea as to how I want to do it. I will probably be looking for some advice from some fellow roleplayers in the near future. Well, that's all I've got for this update. 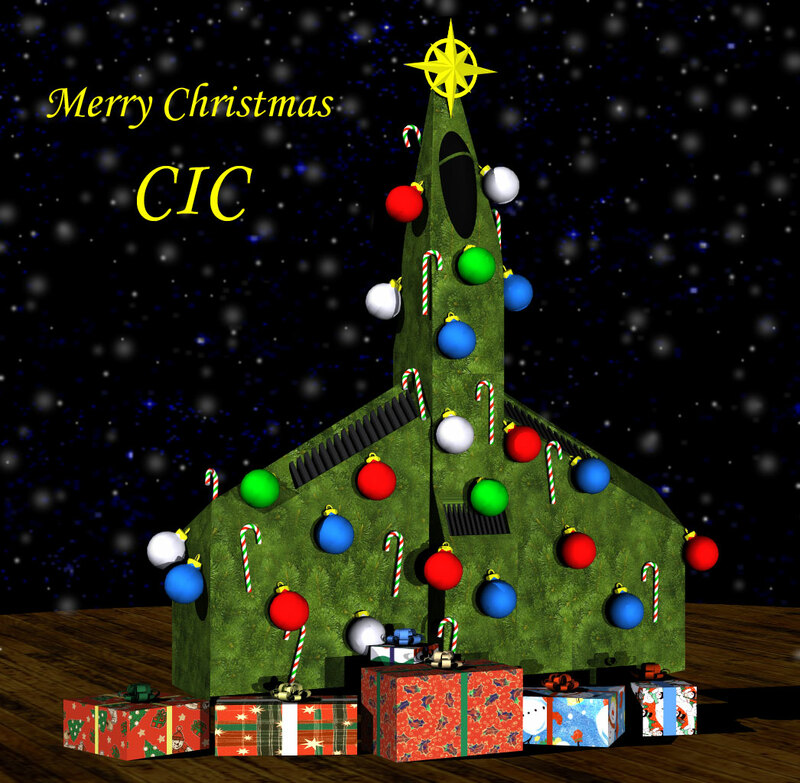 Due to the upcoming Christmas and New Years Holiday, this will be the last update for 2016; the next scheduled update will post to the WCRPG site and CIC forums sometime between 11-14Z on Monday, January 9th, 2017. 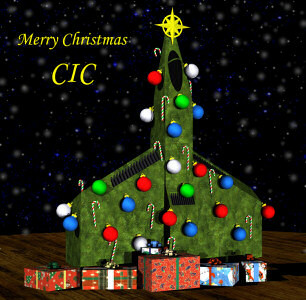 I wish all y'all a very Merry Chrismas, a Happy New Year and a pleasant holiday season. See y'all in three weeks. 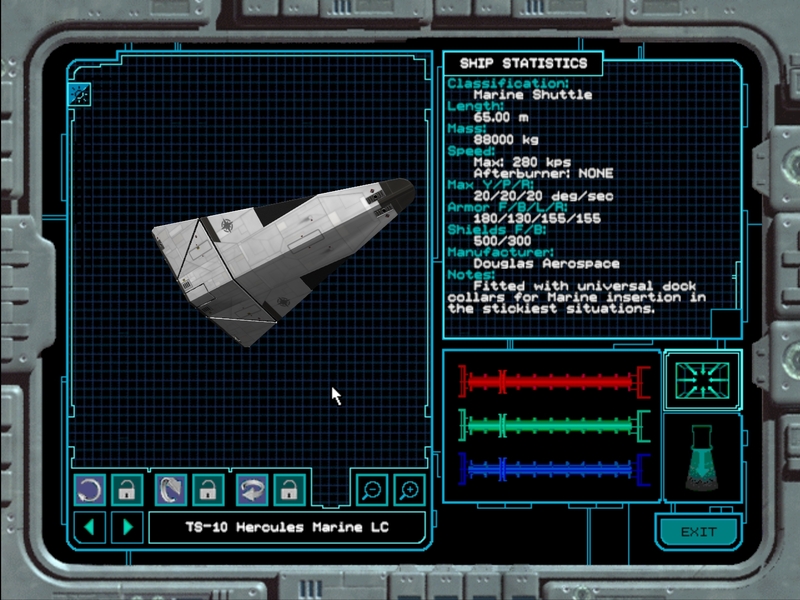 centaurianmudpig has released a new playable demo of his Wing Commander style shooter, Project Aries 3D 64. This update includes fixes for various issues that have been identified in playtesting to date, and pilots now have a high score table to record their accomplishments. A new trailer has been released below, but there are plenty of additional screenshots and videos at the project website to get bet acquainted with what to expect. The Windows demo itself is also available and clocks in at a tight 15 meg package. 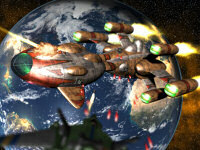 Project Aries 3D 64 (working title) is a 3D space combat simulation video game. 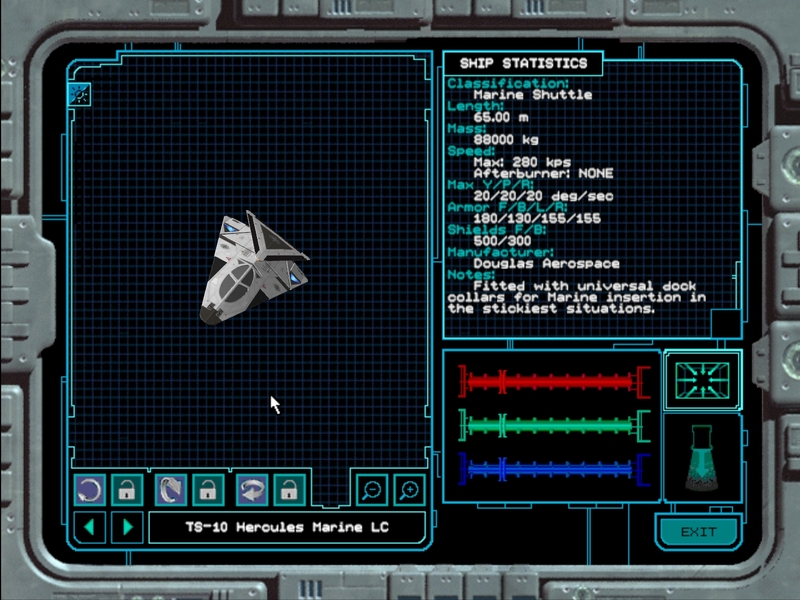 A cross between arcade and realistic; more likely to be compared against Wing Commander than Star Citizen. This is an indie project, developed by a single individual. Work of PA started back in 2011 has has been developed in my spare time to this day. While development has not been consistent, it continues, and has been iterated since it's conception. 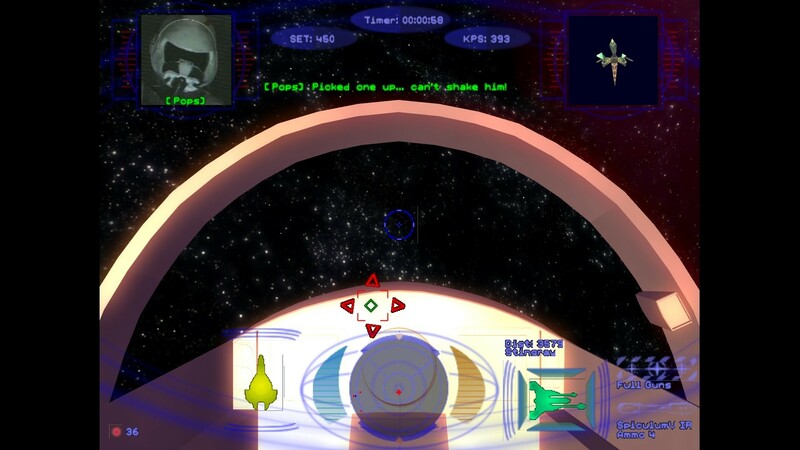 The concept originally started off as a 2D top down space combat game, using Blitz Basic (2000); and progressed through various releases of the Blitz software family, in to XNA and has finally arrived at it's new home, Unity3D (2011). 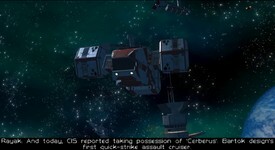 PA has gone through several game names, originally titled Hostile Conflict, and has now fallen on a codename until a suitable title can be revealed. 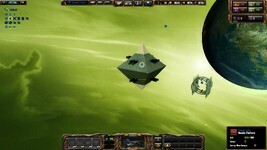 The Flat Universe picture of the week shows off some of that heavy ordnance being released. 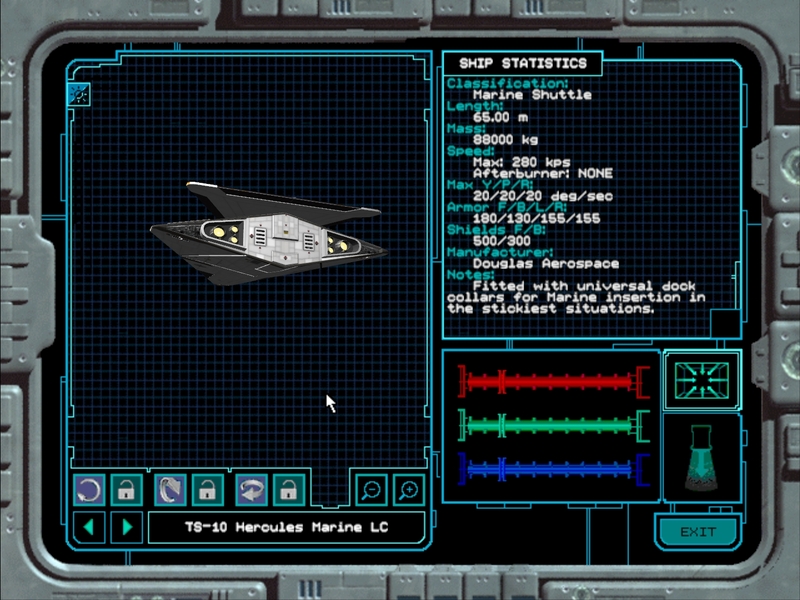 The F-95 Morningstar is firing its signature Mace tactical nuclear missile. On the left, the F-103 Excalibur is equipped with a lighter variant - perhaps what we see the TCS Princeton carrying in WC4? Both will lay on some pretty serious destruction to whatever is on the receiving end! Meanwhile, on a remote Conferderation nuclear test centre. Operation "Armageddon" is a GO! 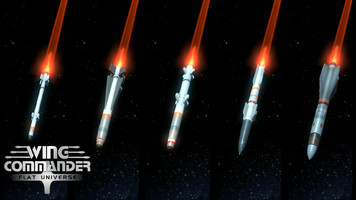 Left: An Excalibur heavy fighter fires a light Mace nuclear missile, Right: A Morningstar heavy fighter fires a Mace nuclear missile. Our development is on the final stage of multiplayer missile firing. After countless missile tests and arguing we have reached the desired result. Therefore, we give you a "Warning: No children allowed!" 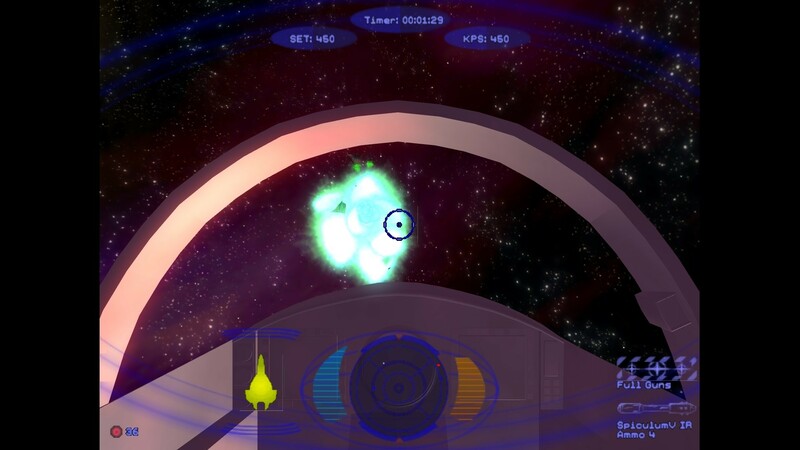 screen-shot showing off the two mace choices that you will have inside Flat Universe. wcnut wanted to share that another great upgrade to Timbres of Heaven has been released. 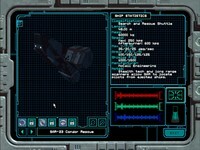 They're up to version 3.3 now, and the latest upgrade is supposed to fix various panning and level issues. Soundfonts like these can be used to significantly jazz up the audio quality of older DOS midi games played in DOSBox. Instructions on how to set everything up as well as the updated files themselves are available here. A few samples are also included below so you can get an idea of what to expect! These are from a slightly older version, so your experience should be even better. Your browser cannot play this file. Click here to download the track. Every last Friday of the month, the Cloud Imperium Games community team holds a special "town hall" session where subscribers can fire off questions at members of the development and production crew. For the month of November, they sat down for an hour-long live chat with Star Citizen persistent universe director Tony Zurovec. Subscribers quizzed him about various game mechanics such as large distance travel, branching missions, interactions with non-playing characters and the medical system. Tony Zurovec was the lead designer on Origin's isometric shooter series Crusader. 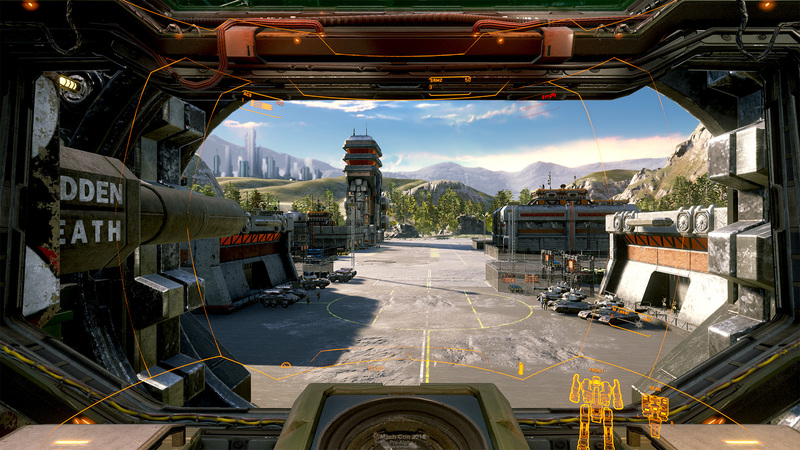 He left Origin to found Digital Anvil with Chris Roberts, and he joined Star Citizen's development team in 2014. Tom Wilson's A Busy Guy! Tom Wilson has launched a series of vlog-like videos on life and what he's up to these days. He's still super funny, and his new videos are an engaging look behind the scenes of his Hollywood environs. Tom's schedule is busier than you might think, and it's pretty cool to get this new insight. After generally letting his Youtube channel lay dormant for several years, we hope he keeps it going now! If this all gets you into the Maniac mood, California residents have a chance to catch him life in stage next week at the Irvine Improve comedy club. Tickets are on sale now for his shows December 21 & 22 shows, and Wingnuts who've attended prior shows give his routine great reviews! The Seahawk that we got a glimpse of this past weekend has made it to prime time. 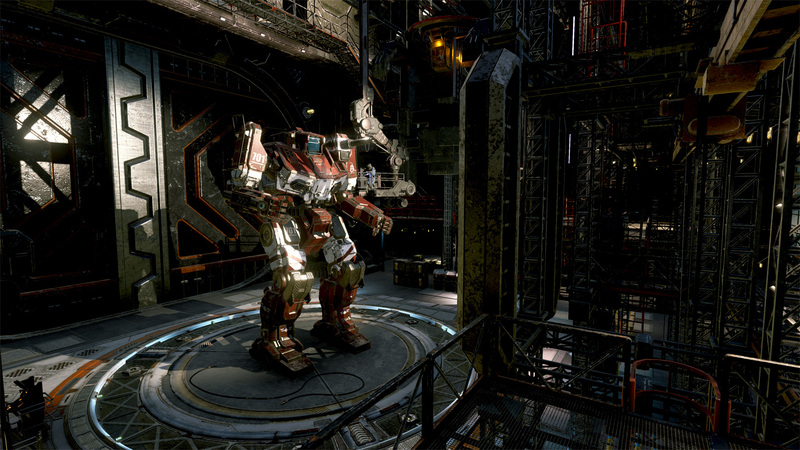 DefianceIndustries has finished the textures and also subsequently managed to integrate it into the Secret Ops Model Upgrade Pack. 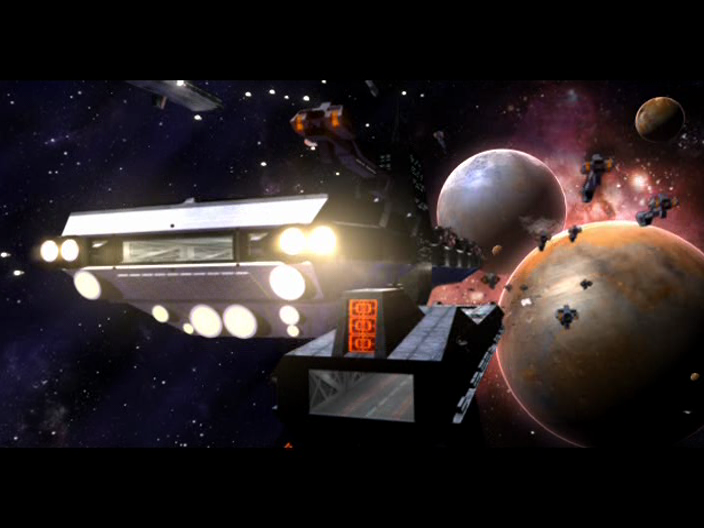 We only see the SWACS in the game's intro, but the visual upgrade of all his ships is so stunning that even a brief encounter with an original quality model would be jarring. 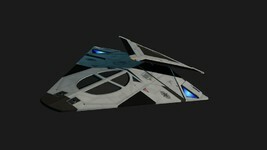 If Defiance ever managed to get around to Prophecy, then we'll also see the ship more prominently in the game itself. In addition to the gorgeous renders below, there's some supplemental fiction as well as examples direct from the Vision Engine. "The Seahawk? Sure, I've heard all the colorful nicknames, my favorite though is 'The NASA Nacho'. You know what bugs me though? 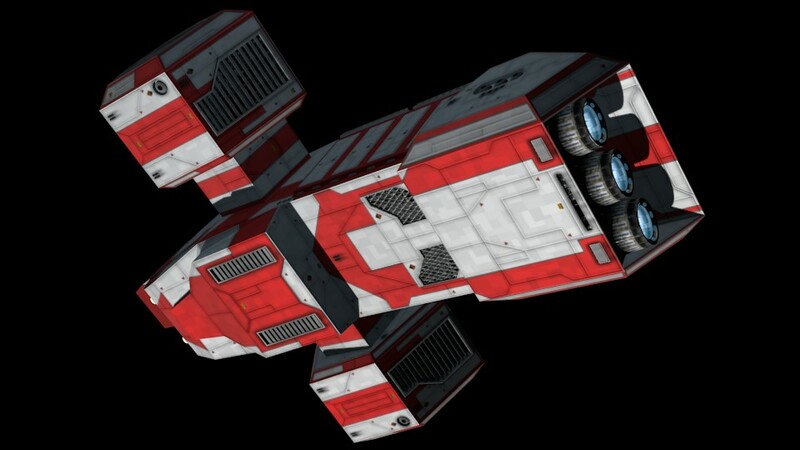 It isn't all the crap we get for flying SWACS 'non-combat' missions; it's listening to these rocket jockeys talk about us like we aren't on the same ship they are or something. I don't think half those I-D-10 T's realize we got plucked out of fighter training early, not because we couldn't hack it, but because we score in the top 30% for both IQ and stick ability. 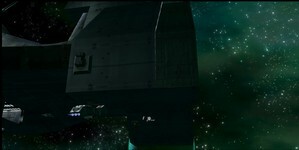 Then they train us to jump ahead of a fleet, alone, and nose around in a ship whose only weapons are its ability not to be seen, or barring that, seeing bad guys before they see us so we can scram; that's of course before those same fighter jocks and their giant fleet hops in behind us to do 'the real work'. 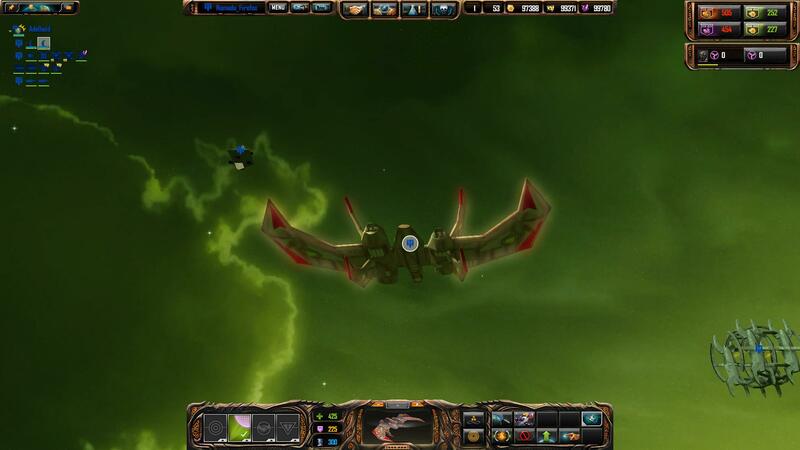 Yep, they LOVE to gripe about how we get it easy...sure, easy..."
Android_Tester has posted a couple of neat videos showing off both Super Wing Commander and WC3 playing on the Nvidia Shield. Prior testing demonstrated that the system wasn't quite up to running most WC games in DOSBox for Android, but these are actually the 3DO version, which is very neat. If you're not familiar with this fantastic console port, it's worth checking out for that alone! We don't generally recommend trying this at home unless you legally own the discs already, but we do admire the technical achievement demonstrated here. This appears to use the Real3DOPlayer emulation software. Alternately for your portable fix, there are now more powerful handhelds that can properly load and emulate the DOS WC games as well. 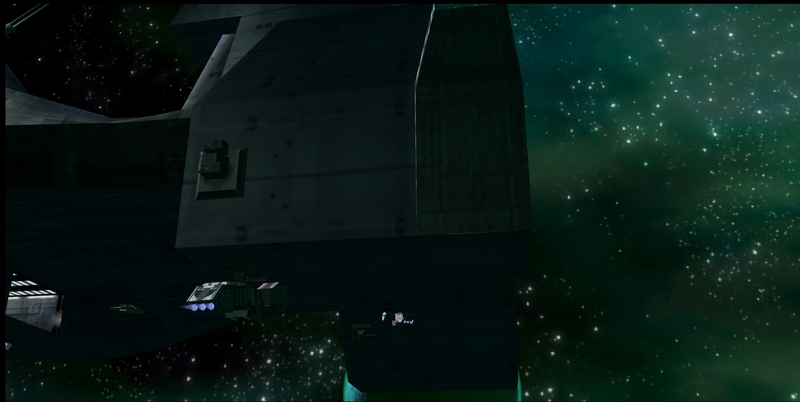 Wing Commander Music Coming To Swedish Orchestra In January! 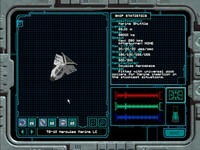 With all the attention George Oldziey's WC3, 4 & Prophecy re-orchestrations have been getting over the last year, another Wing Commander music project has flown under the radar. 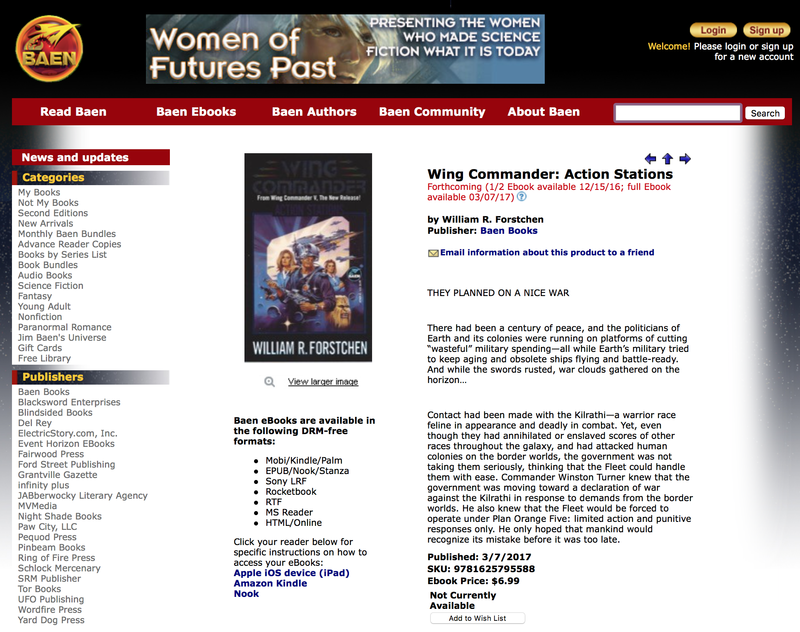 The Wing Commander 1 suite we previously reported on has been making the rounds in Europe. If you are a lucky Wing Commander fan living in, or willing to travel to, Sweden you can catch it next as part of the "We Come in Peace" sci-fi themed concert series that will be playing in Göteborg, Sweden. Performed by the Swedish national orchestra, you will have three dates to choose from: Jan 12th, 13th, and 14th. You can check out the program details and book your ticket here. The Wing Commander suite will be playing alongside some of the greats of sci-fi such as Star Trek and Star Wars, and by an orchestra who, according to the website, has a goal of "becoming one of the ten foremost orchestras in the world by 2020." We Come in Peace crosses all media borders. Instead of focussing on music from either films or games, we set our laser sight on science fiction as a genre, regardless of whether it involves the dream of intelligent life on faraway planets, epic space wars, or horrendous, galactic monsters. The music comes from the best-loved, space-themed films, TV series and games – Star Wars, E.T., Aliens, Star Trek, Halo and even more. The concert is the result of a lifelong dream of film connoisseur and science fiction lover Orvar Säfström, known from Swedish Television and the game music concert Score. In the case of Wing Commander, I wanted to build up the actual drama of the game, so we start with the theme song, move to the scramble music, then the space battle theme (two variants) and finally the medal ceremony. The Turku Philharmonic Orchestra played "We Come in Peace" at three concerts in Finland in 2016 in the city of Tirku. The concert played in January, February, and November 30th. In 2014, the Wing Commander suite was also part of another concert series "SCORE" that focused more on game music and was played previously by the Swedish Radio Symphony orchestra. An updated version of SCORE that doesn't include the Wing Commander suite was recorded and broadcast in extremely good quality on Swedish TV. Let's hope "We Come in Peace" gets the same treatment. Now that DefianceIndustries has so many mainline fighters and capships under his belt, it's time to move on to some of the lesser seen support craft like the Seahawk. There aren't a whole lot of these in the wild, so it's a really nice thing to see. 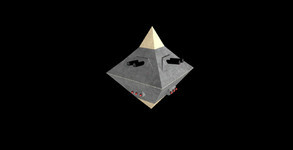 It's also still a preliminary model - the completed picture below is a copy of the Origin high quality render. There's also an update to DI's recent cockpit work that incorporates a few real life touches from the F-22 dashboard. He's got a lot of irons in the fire! So I started working on the ConFleet support craft this week as well as my cockpit experiment. Here's a few shots of the Seahawk clay. 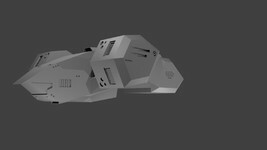 I'm going to probably add a few greebles on the tail near the engines so it's not a 100% complete product. But hey, progress. The Condor only has a few head-on high poly shots so I'm using the in-game model as a reference. It'll probably take a bit more time. 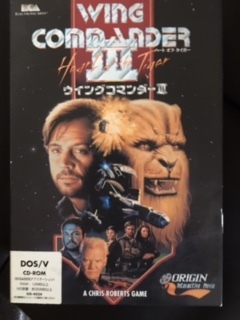 Did you know that Japan received a fully localized version of Wing Commander 3? If you would like to find out what Blair, Tolwyn, Paladin and Eisen sound like in Japanese, you can view the introduction video on YouTube. Thanks to -danr- for the tip! What do you think of the casting choices? 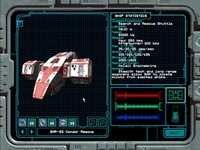 Fleet Action & Heart Of The Tiger Released; Action Stations Confirmed! 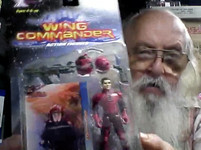 Denis Loubet's Wing Commander Christmas Card Inbound! Former senior Origin artist Denis Loubet has posted some nifty preview pics for his 2016 Christmas card, and it'll be Wing Commander-themed this year! 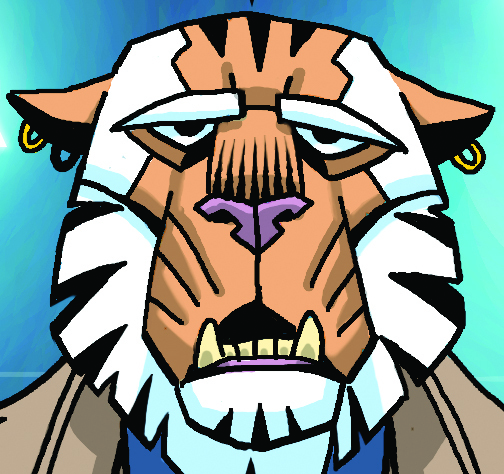 Hobbes will be featured prominently, and you can see a preview below. 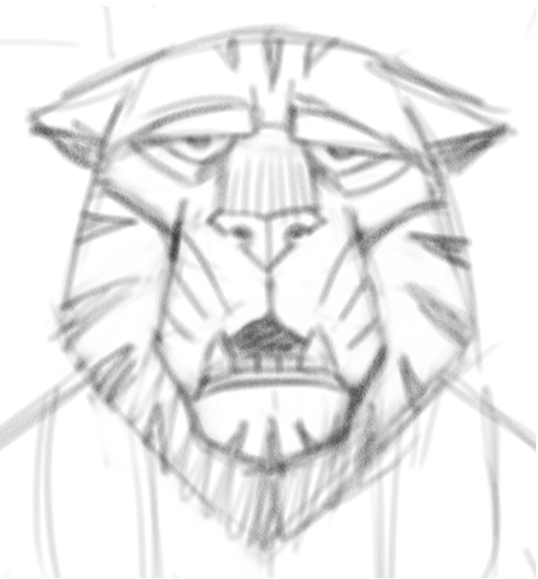 He'll reveal the full art for all next month, but if you'd like a printed and signed copy, you might still have time to become a Patron on Patreon and get him your mailing info if you act very fast. If you're already a subscriber, be sure to send him a message confirming where to ship the card. It's possible to support his work for as little as $1 per month as he continues to post nifty sketches and cool archival artifacts. 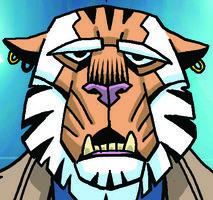 And who can pass up a new Hobbes piece from the man who actually came up with the look of Ralgha nar Hhallas?! 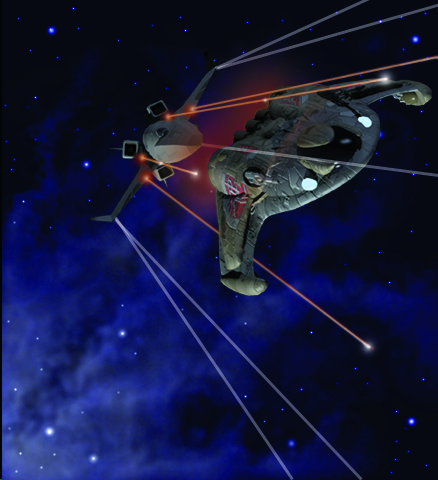 This is a detail image of my Wing Commander themed Christmas card that I'll be sending to all my Patrons. This one is Wing Commander themed, featuring everyone's favorite Kilrathi! Wing Commander Discounted Up To 85%! GOG's Winter Sale is heating up, and a selection of Origin and EA games is being discounted this week. The sale page invites you to select up to 10 titles at up to 50% off. 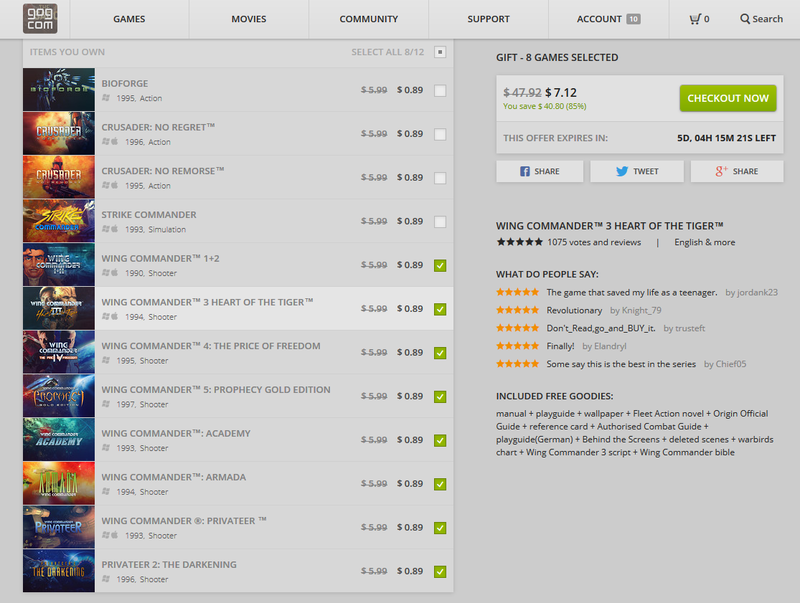 Whether intentional or not, the Wing Commander games are currently showing at just $0.89 each, which is actually a whopping 85%! 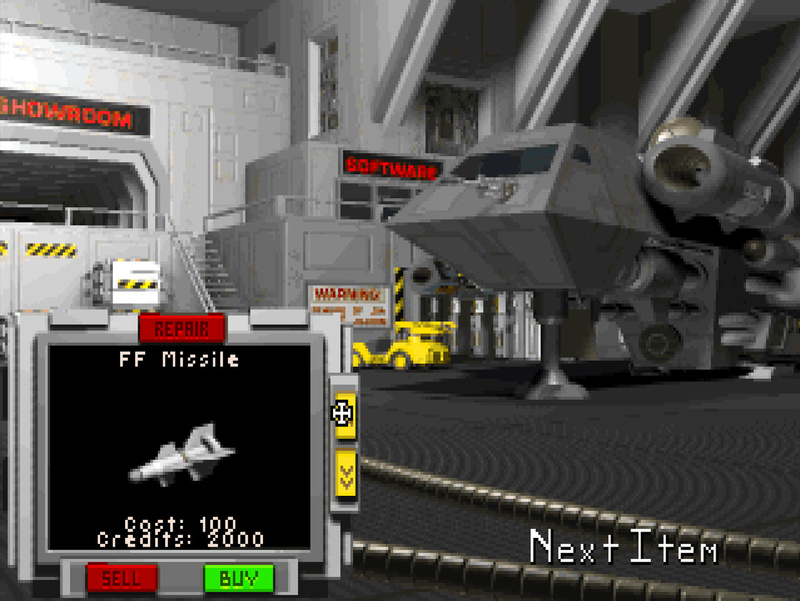 Such a large discount is quite rare and usually requires additional bundled purchases, making this perhaps the best deal on Wing Commander ever. 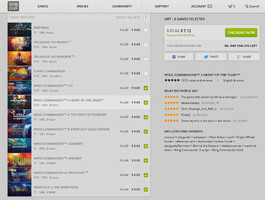 The entire series (broken up into 8 packages at GOG) is just $7.12 - an truly incredible deal. This is a great opportunity to fill out your collection or gift the series to a friend! 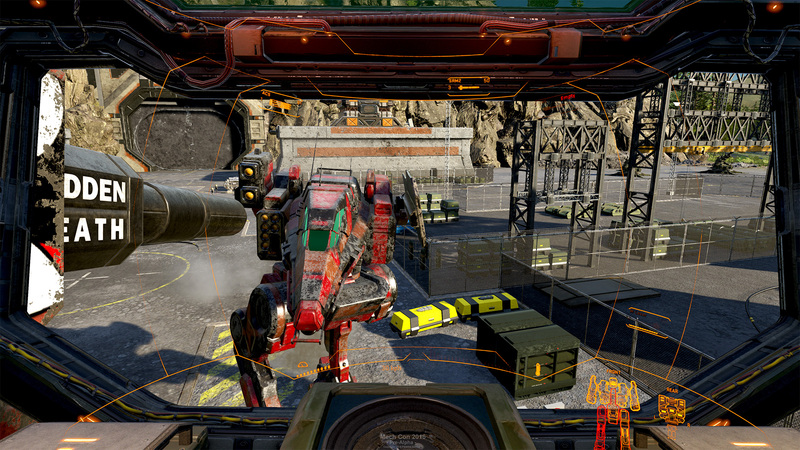 The MechWarrior series will be getting a new single-player sequel! 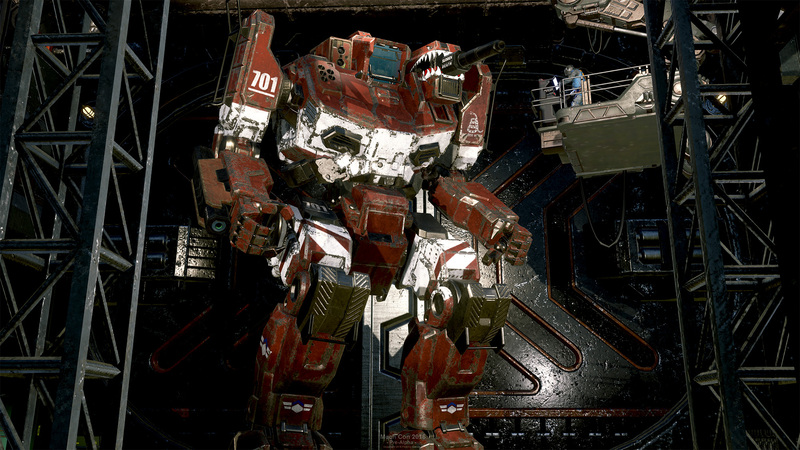 MechWarrior 5: Mercenaries was just announced at Mech Con 2016. 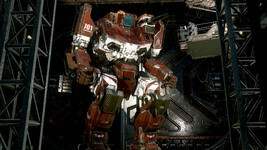 It will be made by Piranha Games, the studio behind the MechWarrior Online multiplayer-only shooter that's been running for the past couple years. This is a significant development for a couple of reasons. The MW franchise was a contemporary of Wing Commander with the main games being released for PC between 1989 and 2002. 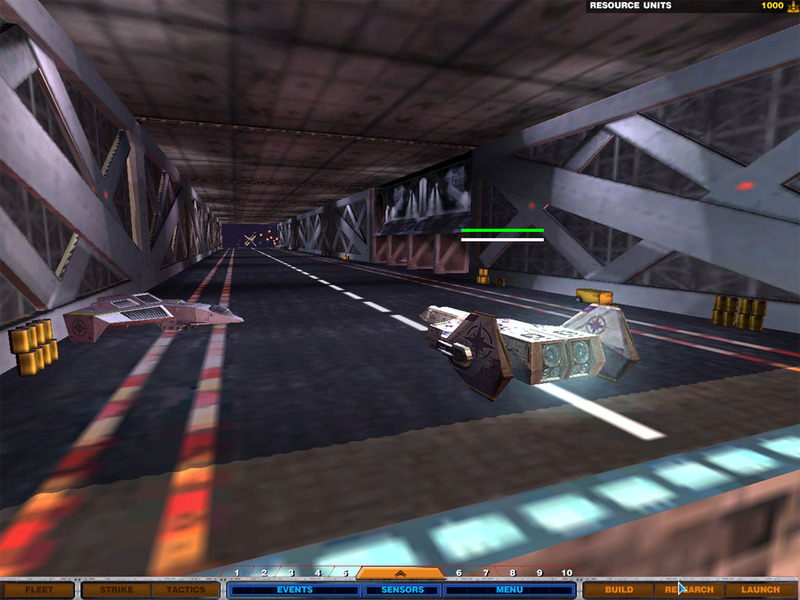 It suffered a similar fate to WC with the general decline in popularity of simulation games in the early 2000s. A few spinoffs were released over the years, but this recent revelation should mean that the 'core' series will resume in 2018 after more than 15 years on hiatus. Obviously Wingnuts are hoping for a similar revival at some point in the future, and this is an opportunity for a successful precedent that could help make the case for WC. The Maslas Brothers have an updated look at the human missile lineup for Flat Universe. 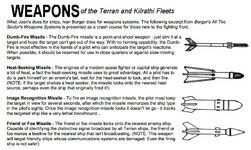 Like their Kilrathi counterparts, the various weapons draw inspiration from various sources throughout the Wing Commander universe. 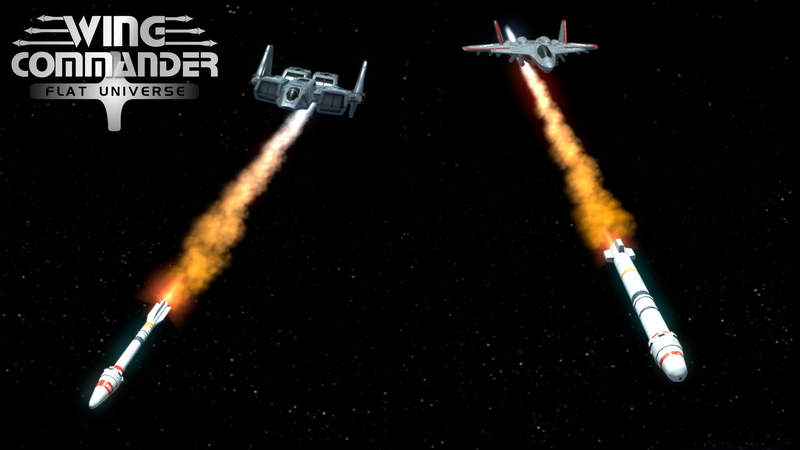 These will be used for both Confed and Border Worlds craft, and of course, missile tactics will play a role in the multiplayer mode that was just detailed last week. 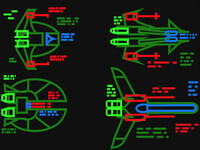 Starting from left to the right: Dart Dumb Fire, Javelin HS, Spiculum Image Recognition, Doru Leech, Pilum Friend or Foe. 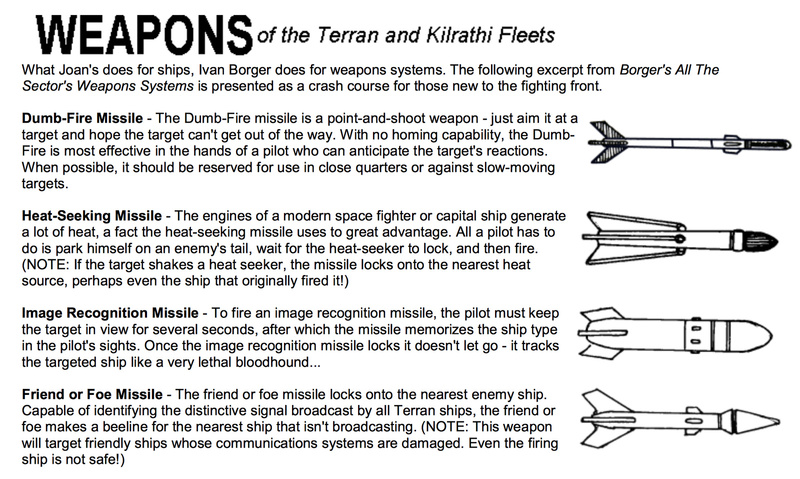 As you can see these are the available missiles that you people are going to choose from when you will fly with the Confederation and the Border Worlds Militia warbirds. 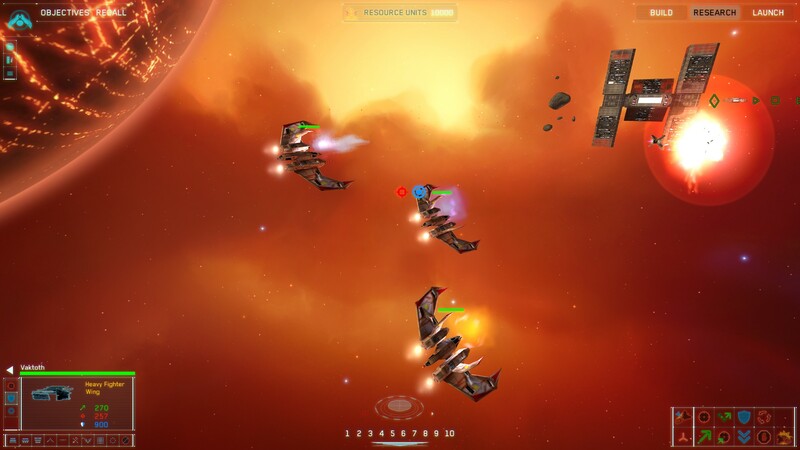 As a matter of fact the last days my screens are full of missiles since our development schedule instructs that we should implement the missile logic of FlatUniverse into the multiplayer mode which is, I must admit, a chapter of its own. Somehow it's December already, and we're trying to be a bit more timely about our annual awards festivities this year. This is our chance to recognize many of the great things that the fan community constantly puts out. Our eighteenth annual Fan Project and Website of the Year Awards will kick off as the year comes to a close, so now's your chance to nominate. Send your nominations to news@wcnews.com. To help give you some ideas, here's a summary of all the prior winners. There's a lot of awesome stuff in the list below! 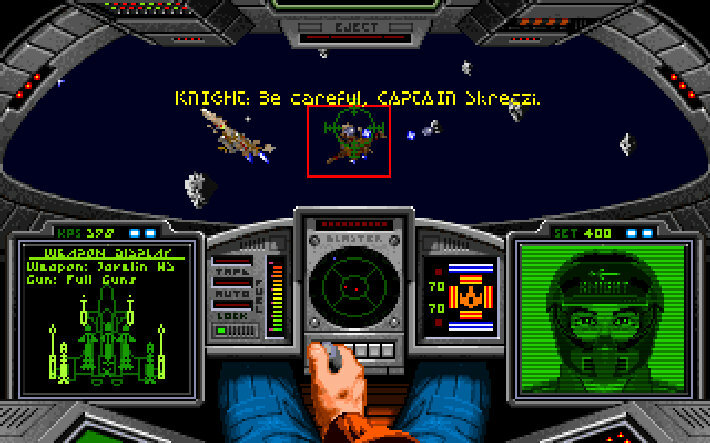 Retro Hour, a UK-based retro gaming podcast, has posted an in-depth audio interview with Wing Commander composer George The Fat Man Sanger. They talk about the origins of his artist name, his early work for slot machines and Atari, the 7th Guest, creative process and the demo scene. The segment with Sanger starts at around the 21:30 mark and the subject briefly turns to Wing Commander at 39:00. The Fatman was also one of the subjects of the game sound documentary Beep that came out earlier this year. 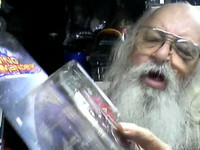 A 45 minute video interview with Sanger was released as a free preview. 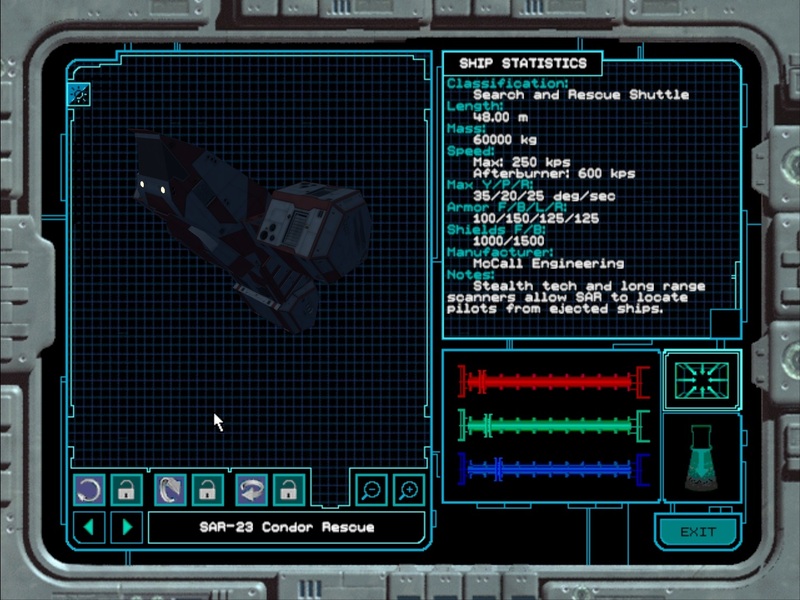 A Long Overdue MUPdate: I was playing with cockpits today. I spent a great deal of time combing through the .IFF files looking for anything that would indicate a camera position for the pilot's eye-point. Of course in the end, I should've just remembered the KISS principle and assumed that the programmers would simply default it to 0,0,0... which of course, they did. So after moving the model around the center of the frame in blender I got a basic new-style Panther cockpit to work pretty much as expected. The mesh has a default gray on it, and after putting it in the game I see some more detail that needs to be added - if I can find a good pilot mesh somewhere I'll likely steal its legs (mu hu hahahahaha) but it's a good start.